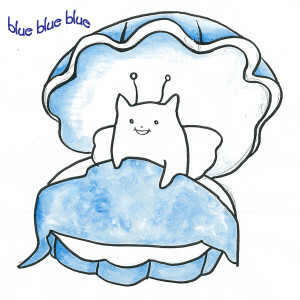 Expect a bit more on this one in the near future, but Nagoya’s Crunch followed up on the melancholy chill of last year’s “Blue” with the Blue Blue Blue EP, released this past Wednesday (and available on a lot of streaming services and iTunes). Don’t let the extremely adorable sea critter on the cover art fool you — like the icy build of the still absorbing title track, the new songs here move at a similarly slow pace, doused in melancholy. The band sounds particularly longing for something else on the heads-down skip of “This City,” while even the all-together-now sing-a-long of “Passing Shower” contains some heavy vibes. A perfectly goose-bump-raising album for the remainder of winter. Get it here, or listen below.